Darth Maul #4 picks up on the moon of Drazkel as Maul, the Jedi padawan and the bounty hunters are hunted down by Xrexus’ rich patrons. It becomes a hunt as everyone is after the Jedi. There’s lots of action, and some exploration of Maul’s character. But in the end, it all comes down to the fight between Maul and the padawan. First off, I really like Bunn’s writing of the bounty hunters. They’re handled perfectly. They’re smart, witty, selfish and driven. Cad Bane and Aurra Sing stand out in this issue as they get some nice dialog scenes and some action. We also get glimpses of some of the other groups that are hunting down the padawan, though all of them meet their doom. For a brief moment, Maul and the padawan team up as they draw off the hunters and strike them down. 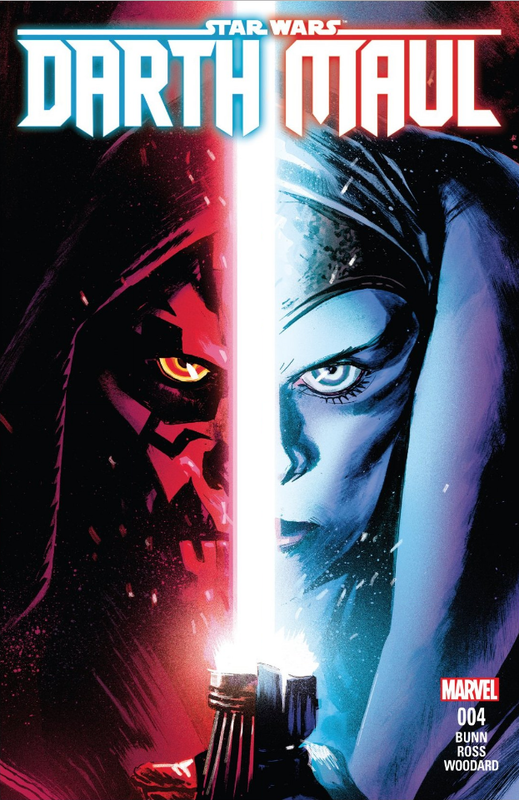 The issue ends with Maul and the padawan finally deciding the time is right to have their own showdown, which provides a nice, dramatic cliffhanger. 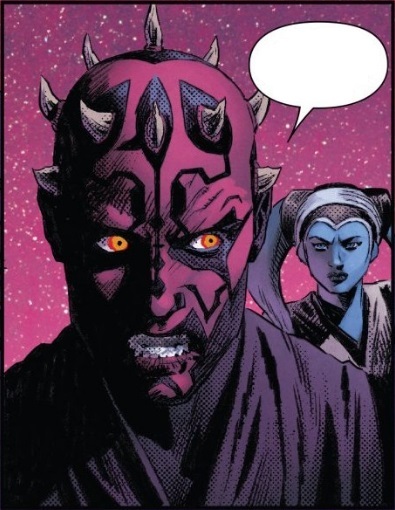 My only gripe with the writing is Maul. While we do get a glimpse in his head at what he’s thinking and what his emotions are, the disappointing factor is that his thoughts and emotions are shallow and uninteresting. There’s nothing inspiring or fascinating about his character. He’s just a bad guy who wants to kill a Jedi. Thankfully that only plays a part of the story, and the writing of the bounty hunters makes up for it. The artwork is pretty good. There is some mild sloppiness and rushing with some of the artwork and coloring, but overall it’s good. The compositions are spot on and there’s a decent amount of detail. There were a couple moments that threw me off, though. One is with the Jedi and Maul where he goes to free her from her arm restraint. They tried to create some tension on whether he was going to hit her or free her, but instead it was a little confusing and abrupt. The transition from the one page to the next could have been done better. 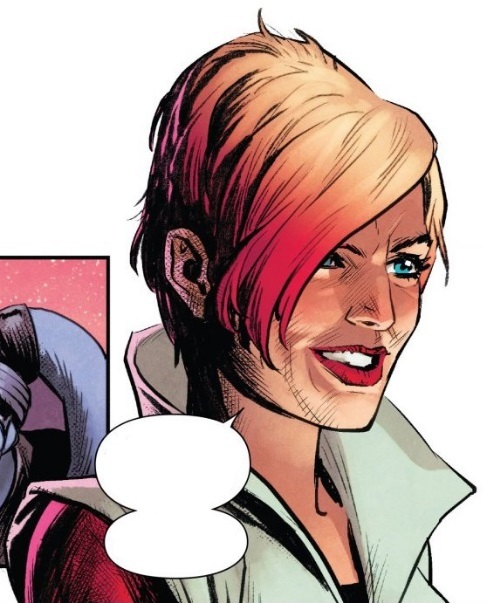 That said, the full page panel of them being back to back looks pretty nice. 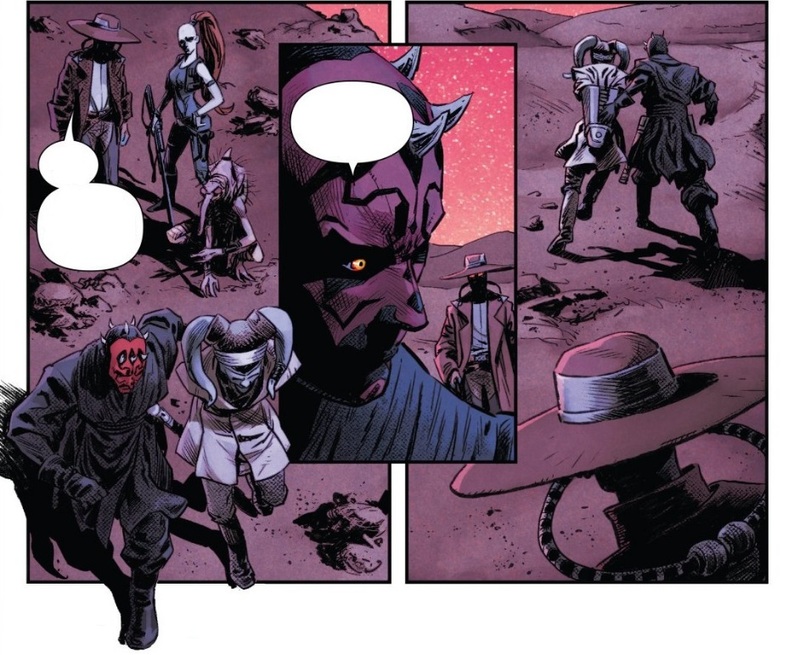 The other moment that bothered me is a panel late in the issue, again with Maul and the padawan. 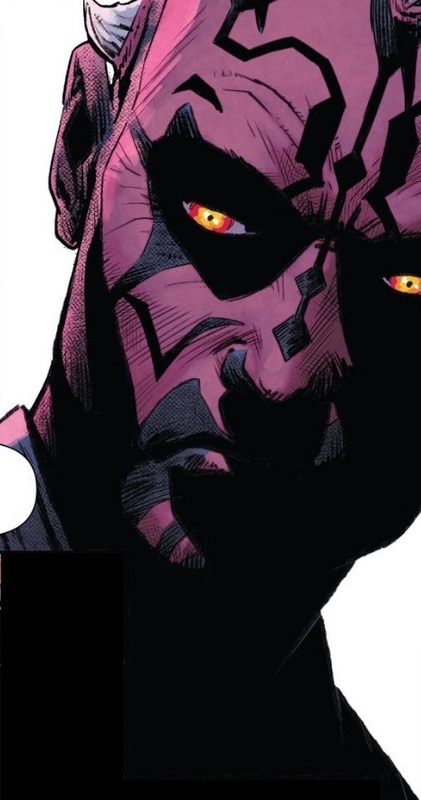 Both are facing toward the reader and it’s a close-up of Maul’s face. For some reason they did a crummy job on Maul’s teeth. There’s no detail to his upper teeth, just dots, and there’s a little bit of detail to his lower teeth. It just looks bad and it threw me out of the story when I saw that. 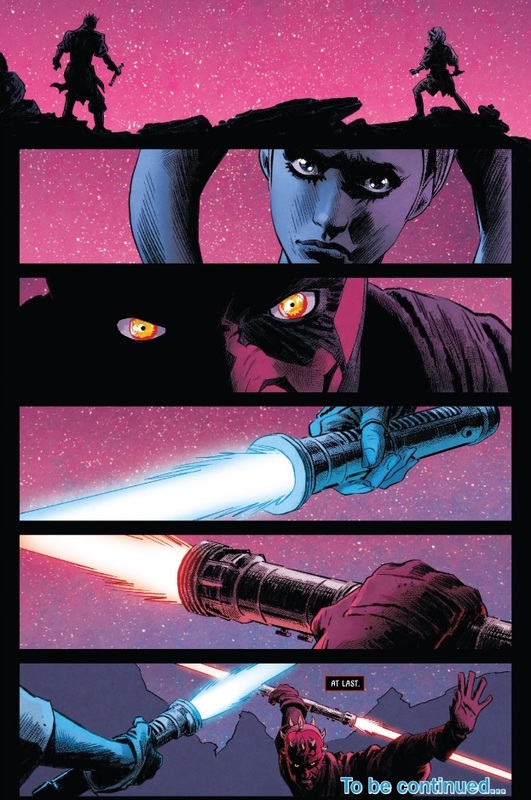 Yet the panels then transition to a great series of setup showing Maul and the padawan preparing to fight each other. In the end, the good far outweighs the bad. 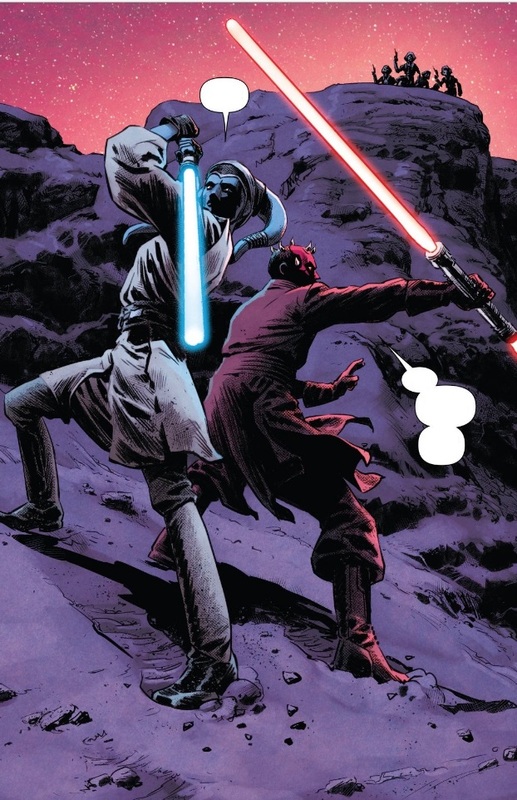 With some good artwork and some good writing, Darth Maul #4 isn’t too bad. It’s not great, but it was a fun read. I give it a four out of five metal bikinis. Reviewed By: Skuldren for Roqoo Depot. Star Wars, Sci-Fi and Fantasy. News, reviews, editorials and interviews. All original content at Roqoo Depot is the property of the site, the authors and the administration. Any reproduction must be credited to Roqoo Depot. All Star Wars and related elements are copyright of Lucasfilm, Ltd., Del Rey, other pertinent companies and/or individual owners. Background imagery derived from Alex Wild "Frontier: The Customs", banner imagery derived from Dave Dorman's official Star Wars artwork "Lord Vader's Persuasion of the Outer Rim Worlds to Join the Empire" and 'Crimson Empire III: Empire Lost #2', Twitter and Facebook logo imagery derived from Mac Rebisz "Sunflare Station." Non-profit use only on this site.